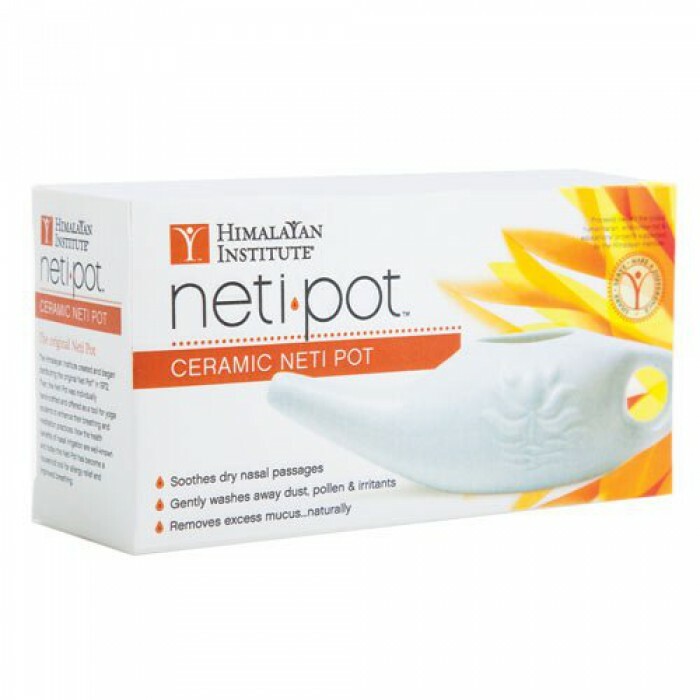 The Himalayan Institute Neti Pot naturally cleanses, refreshes, and protects the nasal passages, one of our body's first lines of defense against illness. Recommended by doctors and pharmacists worldwide, the Neti Pot has been used for thousands of years in Ayurvedic medicine to alleviate sinus and allergy problems. Recent clinical studies have shown that nasal irrigation is effective in improving symptoms of patients with frequent sinusitis. The Himalayan Institute introduced the Neti Pot in 1972. Our bestselling Neti Pot makes nasal irrigation easy and comfortable. The trademarked lotus design and distinctive shape dispenses the perfect rate of flow to optimally cleanse the sinus passages. 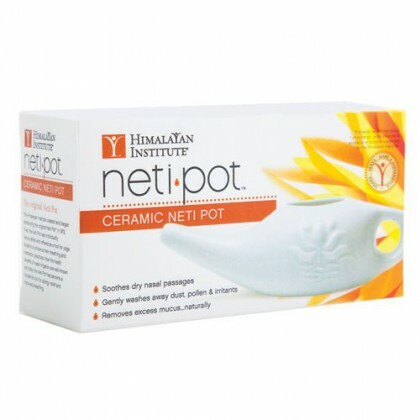 Ceramic Neti Pot is made with lead-free ceramic and glaze. Illustrated instructions include link to free online demonstration video. Proceeds benefit the world-wide humanitarian, environmental, and educational projects supported by the Himalayan Institute.